This black bag bears the symbol of a tribal dragon, snorting fire from each nostril in a flaming anger. His red eyes prominently stand out from the bag and pull you into his temper and into his keep. 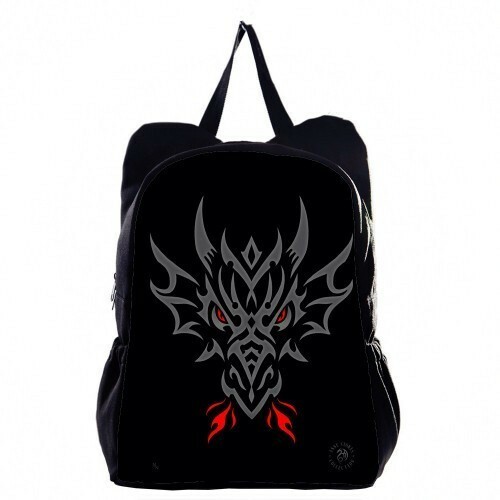 He means business and so can you with this wonderful Tribal dragon backpack as a perfect gift to a friend or for yourself!